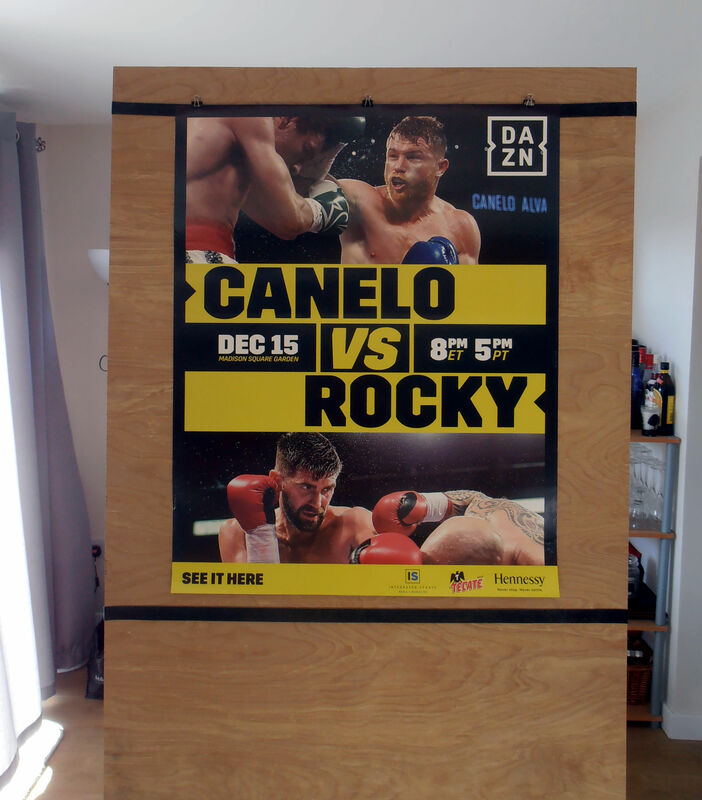 Description : Here we have an original DAZN closed circuit boxing fight poster for the WBA world super middleweight championship title bout held at Madison Square Garden, New York, USA, 15th December 2018. 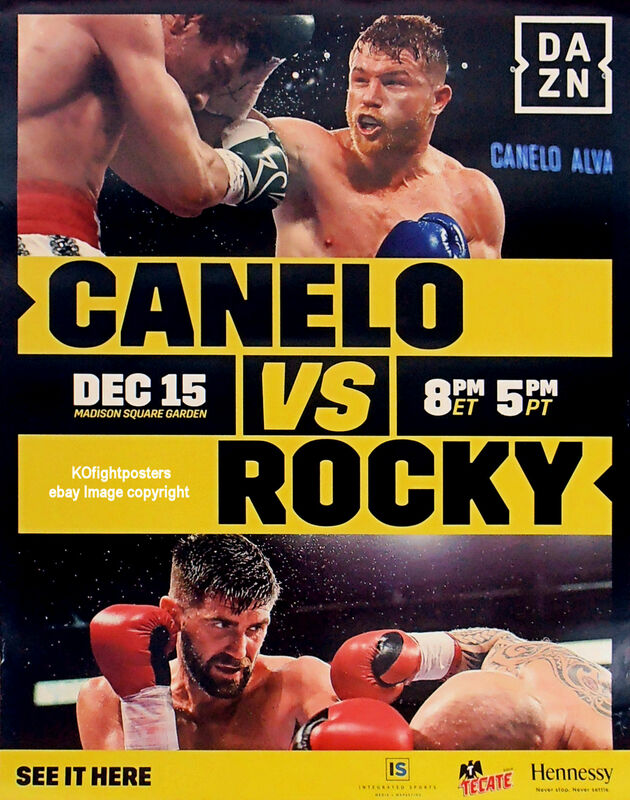 Saul 'Canelo' Alvarez knocked Rocky Fielding down 4 times in an emphatic 3 round stoppage win. 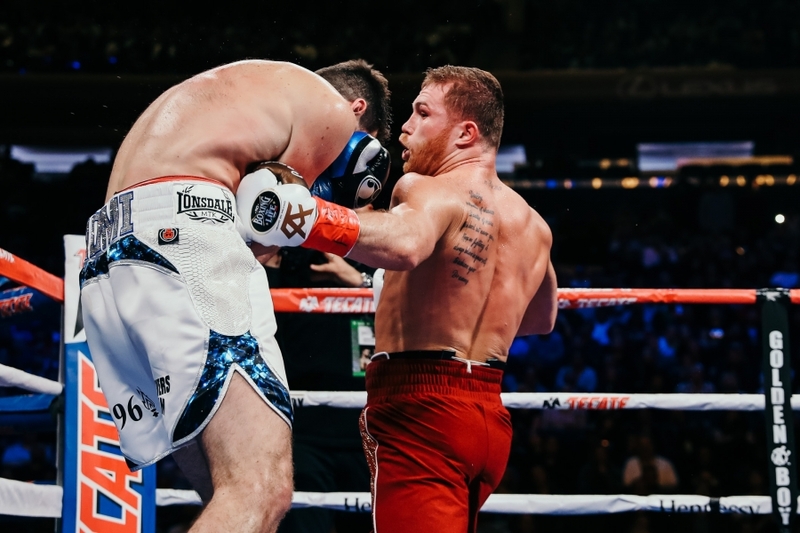 Alvarez, 28, was heavy favourite and brutal left hands to the body dropped his rival in rounds one and two, all but ending hope of an unlikely upset. A stinging right to the jaw again downed Fielding in round three, before another left connected with the body, prompting the bout to be waved off. Alvarez now holds a minor version of the WBA world super-middleweight title. Despite the status of the WBA's 'regular' title compared to the 'super' title Britain's Callum Smith holds in the same division, Alvarez can now boast being a world champion in three weight divisions. He still holds the WBC and WBA titles at middleweight, a division lower, and his move up 8lb only ever looked like ending in victory as he broke Fielding's heart early on with a savage display of body punching.